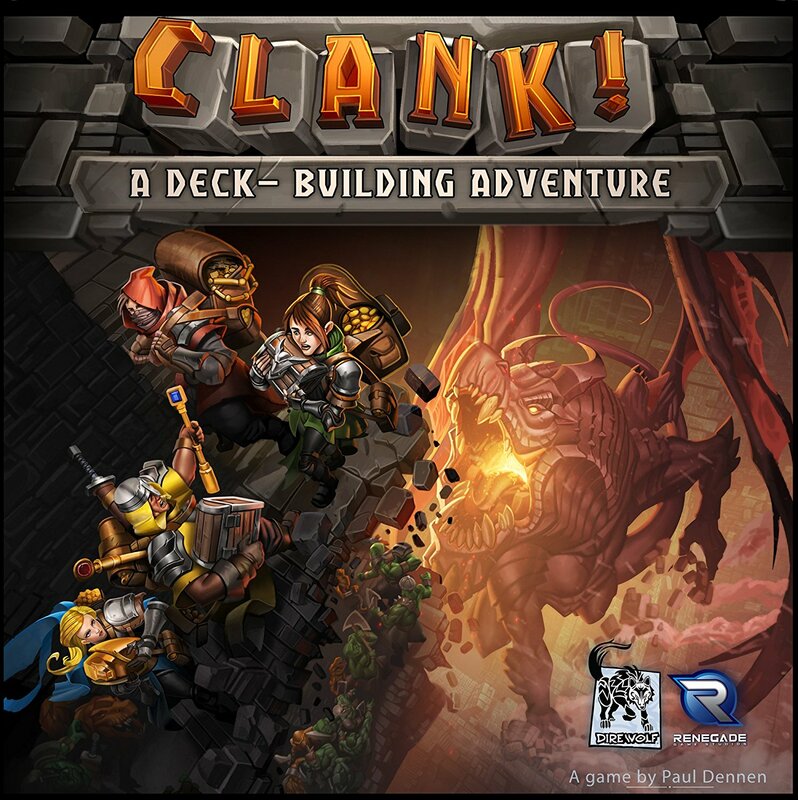 Our love for deck-building games eventually led us to Clank! A Deck-Building Game as something to look into. After playing a session thanks to a friend we quickly decided it was a game that we definitely wanted to have in our collection. You think you've seen one deck-building game means you've seen them all, and in many cases this feels rather true. Clank! is a game that has added a genuinely interesting twist to the genre with a new dungeon-crawling experience. The game has proven to be quite fun and pretty quick to play. The flavor and feel of the game are nicely rich and they do provide for an interesting gaming experience for a wide range of players. And it already has a variant set in space that we're rather curious about as well. 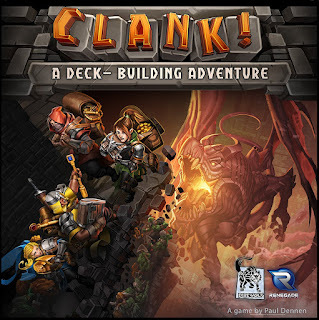 Overview: Clank! A Deck-Building Game is a deck-building dungeon crawl game created by Paul Dennen and published by Renegade Game Studios. The game supports 1-4 players and even has a free-to-download companion app as with many other Renegade games. The game has players as adventures (thieves) trying to sneak into the dragon's lair in search of treasure and other artifacts. The basic goal for each player is to acquire an artifact and return to the surface with their prize. But of course there are many opportunities for rewards such as dragon eggs, secret tomes and other goodies. But cards can trigger Clank!, which increases the likelihood that the dragon will strike you when it finally attacks. Most deck-building games have attack cards and purchasing cards as the basic resource. This time you start with recruitment points and movement points as attacks are only acquired through card purchases. The tunnel network of the dragon will require attacks and extra movement to navigate along with special keys that can only be purchased. But the deck also includes enemies that will make things difficult for you alongside the cards you need to aid your exploration. What I Liked: The game is a great spin on the deck-building genre and the added element of both Clank! and the presence of enemies in the main deck are just genius. Many cards will offer useful abilities at the expense of triggering more Clank with every use. And thus players will constantly weigh whether or not a card is worth purchasing or even just worth playing when it appears in-hand. Then you have the dragon mechanic itself, which gets significantly worse as more artifacts and dragon eggs are retrieved by players. It adds a great sense of tension in the mid to late game as players begin to scramble to get to the surface before they are trapped in the Depths. Then you have the crazy end-game mechanic where the first player out triggers an increasly dangerous timer of sorts that forces the game to come to a head. What Could Be Better: Some cards try to have flavor but it's not quite apparent what's going on. Why are there all these Rebels hiding in the dragon's lair and why do they case additional card draw by being together? I want to be more excited about these cards but at times it can feel a little random. It's a minor complaint, but one that still nags on me. There was an effort to develop consistent symbols for the effects of secrets and card systems but at times it still gets a little confusing. There are so many different little things that come into play that can feel a little overwhelming for a newer player. They catch up in time but it remains an opportunity. TL;DR: Clank! A Deck-Building Game is a fun adventure game that should get more folks to appreciate the deck-buildig genre. There's nothing quite like the dragon taking out players left and right as the one player laughs at their misfortune from the safety of the surface. Thus the game gets a great 5 surprise kobolds that really complicate things with the dragon out of a possible 5.